The beard is in the house everyone. If you look truth in the eyes, the beard is today's most important styling detail and statement of who you are. 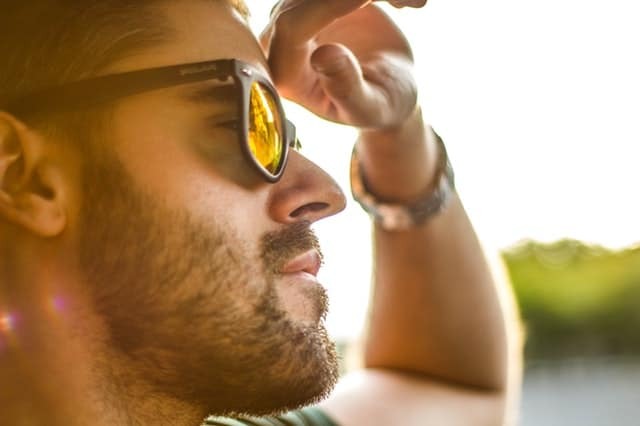 Throughout history, beards have been associated with a myriad of attributes consider to be critical to men: From unadulterated masculinity, to nobility, and wisdom. In time, beards have lost its original meaning, and instead became a fashion accessory than anything. However, growing a beard is still an unbreakable and endurance fashion statement - more so, it seems to be growing in popularity recently. One of the most important factors to consider if you want a cool beard is to have your shape and styling in check. Beside the basic toiletries to have, the best beard conditioner is a must. In this article we will focus on the best beard conditioners. Why do you need a beard conditioner anyways? You may be wondering why having the best beard conditioner is so important. For some of you, the answer to this question is all too familiar. The answer is simple: With a little help from your conditioner, split ends, and fuzzy, untamed hair will simply bend themselves to all of your whims and commands. Not to mention that the best beard conditioners today will get rid of that itch and discomfort the skin underneath your beard would often suffer in after an unsatisfactory shave. Alright, let us check out the best beard conditioners on the market today. Free of Shea, Aloe, Cocoa, Kokum. Wild herbage implemented. The size is quite small. Argan Oil from the heart of Morocco. Best package design. Doesn’t help tame stray hairs. Not effective for longer beards. Bit pricey, doesn’t help with beard growth, the label easily falls off. If we were to choose the ingredients to make the perfect and best beard conditioner, would the recipe look something like this? First, we add a pinch of proprietary blend composed of many hair strengthening herbs such as avocado, virgin pumpkin seeds, grape-seed, and apricot kernel oils. Then, we combine everything with organic nut butters. And if these oils, butters, and botanical specimens were to be organic with no chemicals, or preservatives, and no fake colourants, or fragrances - that would be the perfect formula. This product is free of Shea, Aloe, Cocoa, Kokum. The Honest Amish has replaced them with wild growing herbage. If you think this mish-mash of everything nice sounds just too good to be true, think again. Honest Amish was kind enough to your beard and face to make the healthiest, most effective and best beard conditioner out there. This conditioner also softens coarse and rogue hairs. This company is so certain about their conditioner that they guarantee it is the best on the market. If you do not agree with them, you can simply return this product and you'll get your refund. This conditioner is good for eliminating beardruff and that itch when new, wild, and untamed hair grows on your cheeks and jaw. ​Honest Amish Beard Conditioner is exclusively made in the U.S. with love, and packaged in 100% recyclable materials. The longer you use it, the more positive effects you will be able to discern. Great, masculine scent that is not too overpowering. It grows and moisturizes hair too. Works well for dyed hair. This product is more fits for conditioning, as it has minimum control for styling. If you leave it in a warmer room or environment, it will liquefy. So be careful not to spill it when you open the bottle. This Polished Gentleman Conditioner is proof that beard styling has come a long way, firmly followed by an army of ingeniously created grooming products. The story and idea behind this conditioner is to give a comb, brush, and beard trimmer in one product. Ok let’s not go crazy, maybe you will need a trimmer eventually because this conditioner is almost truly all-in-one. It will excellently shape and tame your beard. This 100% organic formula - derived from Manuka Honey, Eucalyptus, Tea tree, Peppermint Oil, Argan Oil, Biotin, Rosemary, and Aloe - will make your beard feels full, soft, and completely refreshed. Also, this conditioner is made in such way to gently nourish the skin beneath your beard, eliminating that growing beard itch, and leaving your skin well moisturised in the process. Polished Gentleman Conditioner is one of the best beard conditioners on the market today and it offers more than you bargain for. It is the perfect present for a manly birthday or Christmas. The conditioner will really help with beard growth as well as thickening. The ingredients are excellent, and the implementation of Manuka Honey is a very wise application. The label will disintegrate and fall off if you keep it in the shower. This product offers you gel, balm, and oil altogether in a single package with its blend of the finest ingredients and organic essences like Argan oil all the way from the heart of Morocco. This conditioner does not contain any silicone, parabens, phosphate, colourants or mineral oils. The perfect hydration this conditioner offers your beard and facial hair will help with better maintenance and a healthy glow. This beard grooming treatment maintains perfectly moisturised levels for longer periods of time, giving your beard the sharpest and fresh look. This way, you will easily and pleasurably make your moustache the way you like it to be: At its best. Besides the perfect ingredients and excellent hydration levels, you will also get maximum softness. If you have issues with a scratchy and scruffy wild beard, the level of softness this conditioner offers with its creamy and moisturising formula will save the day for sure and overpower that wild, untamed patch of hair. Rugged Bros is well known for making their products with serious quality and high standards. Because of this, any owner is proud to have their well recognisable black box beside the bathroom mirror. It’s a perfect present for any man who likes to have his beard well-groomed. This excellent conditioner gives you all you need for strong and healthy beard growth. The price, but still it is a specialised product of the highest quality with the most beautiful packaging. It doesn't really help tame stray hairs. This is another excellent conditioner that offers a formula to encourage stronger, fuller, thicker beard growth, and during this process, your beard will be easily controlled. This cream conditioner targets your pores and not just the hair. This way, the conditioner will help fortify, moisturise, and promote healthy follicle growth, giving that refreshing feel to the skin underneath your beard. If you go to the gym and are in the business of muscles and supplements, then you probably have an idea of what Betaine is. If you don't, it's fine: Betaine is an amino acid that is naturally found in beets. This amino acid is an excellent aid in moisturising and beard growing because it strongly motivates hydration, achieving the perfect level of skin health and freshness for beard growth. This beard conditioner is the first ever to implement Betaine in its formula. Respectfully, this conditioner is made in the U.S., free of animal testing, and is a completely natural product. Bossman can really feel proud about their work for making such a fine product. You can really feel the Betaine working and moisturising your skin. After some time, it will balance out the moisture level of your skin, whether it's over moisturised, or suffering from insufficient hydration. We personally dislike the scent. It smells a tad bit similar to cheap, hotel soap. Of course, scent is always based on personal preference, so who knows - you might like it. This conditioner and balm is 100% organic, formulated using only the finest ingredients available. Besides this, they implemented the best of nature’s offerings to bring you the best experience a conditioner can offer for your beard. This balm is made in a way to leave your beard full, soft, compact, and shiny. Furthermore, the specially formulated blend of ingredients will promote faster and thicker hair growth while taming your crazy hair, and repairing split ends. This conditioner/balm will maintain style with a light to medium hold. And if you want to feel more manly and desirable, this conditioner is your ticket for the show. Due to its innovative integration of aphrodisiac ingredients in its formula, Ladies Man Beard Balm is definitely a unique product and an excellent present for your man. The implementations of aphrodisiacs in this conditioner, making this product probably the most macho conditioner on the market. The list of ingredients is an awesome one, as well. The packaging is terrible for the cost. The price, especially with the 1 oz. pack. It doesn't really help with beards longer than two inches. The most important thing about choosing a beard conditioner is surely the ingredients. The formula and combination of plants, oils, and butters is of the essence when a product comes in touch with your face. So the best is to find something that suits your sensitivity. If you don't now what is good for your skin, try to avoid products with allergens like almond or nut butter/milk. Further, go all natural and fully organic or at least pretty close to that. The next ‘Best’ thing is how much the conditioner will do for you in terms of moisturising and hydration. If these two are properly achieved, you will have better and healthier beard growth with less of that awkward itchy reaction. A great perk of a good conditioner is the refreshing and nourishing effect for the skin below the beard. This is very important. Another less serious factor to consider is to look for a conditioner that is a balm and oil at the same time. This will help tame your beard easily and keep your hair full and shiny. These kind of conditioners are especially useful for those guys whose beard is sharp, wild, and disobedient. If you are lucky and find a suitable conditioner you may avoid the usage of wax, which can be a sweaty business. Fragrance and scent are also a considerable part in choosing the right conditioner. If you are buying a conditioner with a strong fragrance, make sure it’s compatible with the smell of other products, if there are any, which go on your beard. There are also other factors like which level of 'grip' you want from a conditioner. Most of the conditioners have a medium, or light hold on your hair. Most of the time, this will be enough with the exception of those with that sharp and wild beard. These are the most important factors to consider when choosing a beard conditioner. And remember, what is great for someone else may not be good for you so find your own best conditioner. It is the best formula on the market. 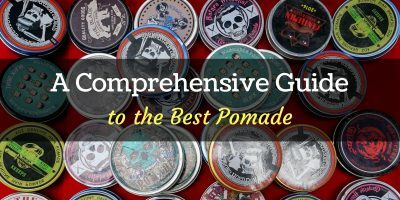 This conditioner has proven its superiority over and over against other beard conditioners and has thousands of satisfied customers praising it. This is truly a force to be reckoned with among the numerous brands of conditioners all around. The Rugged Bros - Conditioner and Softener. We see a beautiful future for this fine and relatively young product. Who knows, maybe it will steal the crown from Honest Amish in a few years. That Argan oil from Monaco and that excellent package are simply a sublime combination. If this product had a more presentable package, maybe it would share second place with Rugged Bros. This excellent, purely organic formula and touch of aphrodisiac botanicals is simply an above and beyond detail. Polished Gentleman, which is then followed by Bossman. We've told you first-hand that this list cannot be fair and it hurts us to put Polished Gentleman in a position where it gets no title, but it is what it is. Be assured, however, that you won’t make a mistake at all if you buy any one of these fine products - even ones that come last. After all, preferences may varied. 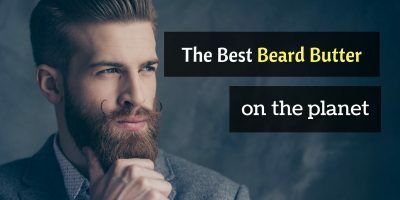 So just relax and enjoy the experience if you decide to buy any of the listed Best Beard Conditioners from this article.